Why should we be troubled by this? An inside job, and inside appointment, and a person and trained lawyer and football administrator called Gianni Infantino. It reeks of the familial, the comfortable and a distinct desire not to change. To almost everybody else outside this debased organisation we know as FIFA, things might look sordid. Within it, it seems tempered, even and consistent. A false reality has been created, suggesting that genuine change is happening on the mountain of ruin. 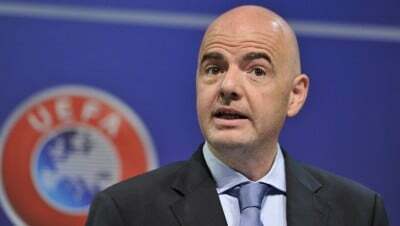 For one, the Infantino strategists had been banking on votes from Concacaf, South America and Africa in the hope of showing Europe’s football establishment as stuffy and all-controlling. Never mind the fact that Infantino is much of that same ilk, a creature of money-bags land. “Gianni started from nothing four or five months ago. What he’s done is go and meet people and sell himself.” Accurate words, in indeed, from David Gill, former Manchester United chief executive and occupant of both the FIFA and UEFA executive committees. The campaigning, which drained some 500,000 euros from UEFA funds, was not something that went unnoticed. Jérôme Champagne, suffering from a bout of sour grapes, did remark that much of this campaigning was basic Twitter feed, involving a private jet and the taking of pictures. Infantino’s justification? Such money was needed for “logistics”. Infantino’s coming to power seems to have pulled the wool over the eyes of many in footballing officialdom. His administrative skills have been noted, though much of this, argues Foster, is largely because the Swiss “is not Sheikh Salman”. FA Board Chairman Greg Dyke, for one, confirmed his support for the UEFA general secretary and subsequent pleasure on hearing the election result. Others concurred. “This will be a new era for FIFA despite the problems it faces,” proclaimed Per Ravn Omdal, former president of the Norwegian FA. Scepticism for such a view comes immediately on realising that Omdal was a FIFA executive committee member during the Blatter years. “He has a massive task of course, but he can start work in a totally different atmosphere than the one surrounding FIFA for the last few years.” It will take more than a cleaner atmosphere to develop change. It merely scant comfort that another contender, Sheikh Salman bin Ibrahim al Khalifa of Bahrain of the Asian Football Confederation, did not net more votes. It has been alleged by various human rights organisations that Sheikh Salman identified athletes engaged in pro-democracy demonstrations in 2011 in his home country, for which they paid dearly. Gulf researcher at Human Rights Watch, Nicholas McGeehan, made the rather grim observation that the al-Khalifa family had, since 2011, “overseen a campaign of torture and mass incarceration that has decimated Bahrain’s pro-democracy movement.” This, it would seem, is a suitable FIFA President’s resume: anti-democratic, suspicious of change, and decidedly paranoid. Bahrain’s non-record on human rights, and FIFA’s indifference to transparency, provide a match made in heaven. Better luck next time. The reform package consists of several modest ameliorations. A limit to the FIFA presidency of three four-year terms will be introduced. Salaries to key figures in the organisation will be disclosed. (We have yet to find out what disgraced former FIFA President Sepp Blatter received). A new elected FIFA council will replace the current executive committee, and the gender calculators will be out to make sure that a female representative from each federation will be joining the administrative party. Even if the rot may not deepen under Infantino, joy at his election is hardly a suggestion that any broom is going to get truly busy. Acting FIFA president Issa Hayatou described the illusory sentiment with unintended accuracy. “We stand united in our determination to put things right, so that the focus can return to football once again.” It has been some years since football was the focus of FIFA, an organisation as divorced from the game as a Thatcherite hospital from suffering patients.